DENVER, May 14, 2018 (GLOBE NEWSWIRE) — 3 Bear Energy, LLC, announced today that its subsidiary, 3 Bear Delaware Operating – NM, LLC (collectively “3Bear”) has launched a binding open season (“Open Season”) to obtain volume commitments and/or acreage dedications to support construction of a new crude oil gathering and transportation system (the “Hat Mesa System”) that will gather crude oil from origination points in Lea County, New Mexico and deliver such crude oil to destination points within Lea County, New Mexico. The Open Season begins today, May 14, 2018 at 8:30 a.m. MDT and will run for at least thirty (30) days. 3Bear will provide all potential shippers with advance notice of the specific date on which the Open Season will conclude at least fourteen (14) days prior to such date. The Hat Mesa System is supported by at least one shipper that is willing to make a long-term acreage dedication. The Hat Mesa System will initially consist of 60 miles of varying pipe sizes up to 10 inches, with sufficient capacity to support shippers’ requirements. 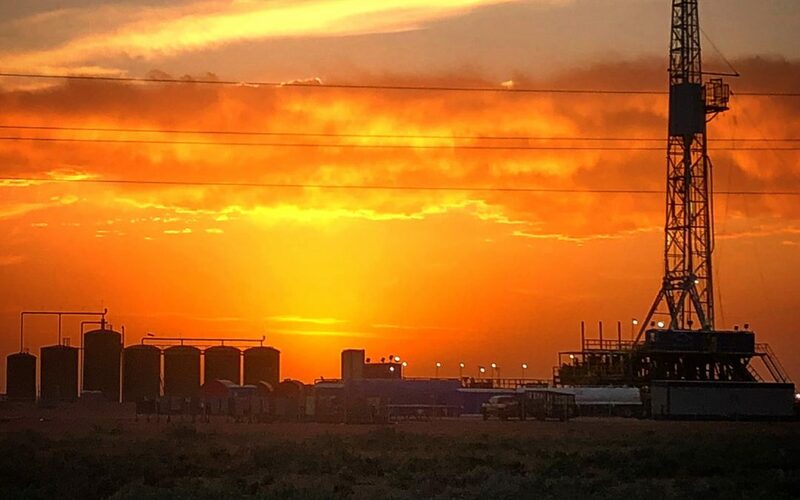 The Hat Mesa System’s primary terminal is located southwest of Monument, New Mexico, near the Lynch area, at which point shippers will have the ability to deliver crude oil to interconnecting facilities for further transportation to multiple downstream markets. The Hat Mesa System is also expected to be capable of accepting crude oil via truck deliveries, if requested. The binding Open Season process provides potential shippers with the opportunity to make either volume commitments or acreage dedications to the Hat Mesa System and execute long-term transportation contracts with 3Bear. Shippers electing to do so will receive firm transportation service on the Hat Mesa System, meaning service that is not subject to prorationing during normal operating conditions. “We are extremely pleased to announce our Crude Oil Pipeline Open Season and are excited to serve our Permian Basin producers. When combined with our currently operational water recycling system and our forthcoming gas pipeline system and processing plant, we expect to provide full service to our E&P industry partners over the years to come,” said Bob Clark, Chairman of 3Bear. The Hat Mesa System is expected to be fully operational by mid-summer. It is 3Bear’s intent to develop the Hat Mesa System in such a manner as to be able to accept all requests for service in accordance with the terms of the Open Season. A complete description and additional details regarding the Hat Mesa System, including the Open Season procedures, are available by contacting Chief Commercial Officer, David Lytle at (303) 862-3968 or DLytle@3BearLLC.com.